Fotolia is a European-based stock photo agency that holds since long a spot amongst the top companies in the industry. With over a decade in business, since late 2014 it is owned by software giant Adobe. Its library hosts millions of Royalty-free stock images where the European style prevails. You can buy photos from Fotolia on demand using credit packs: priced according to size, you'll pay between $1,80 and $37,45 per image depending on the credit pack you use. Or you can get a subscription plan for better rates. 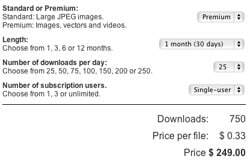 They have offers with daily or monthly download limit and different volume of downloads, giving you stock photos for as little as $0,33 to $5 each. Fotolia is a good choice if you are after European styled photos. If you're interested in Fotolia photos, you should definitely check Adobe Stock! This is a stock photo service that is fully integrated into Creative Cloud platform, and includes millions of photos from Fotolia's library plus millions of new images. Both Adobe Stock and Fotolia are property of Adobe, so this is a reliable and serious service too. If you want more info, you can check our dedicated Adobe Stock review. Sign up for free at Adobe Stock to start exploring their collections and buy great stock photos! And you'll love to know that now you can get Adobe Stock Free for one month, with up to 10 free photos! Grab your Adobe Stock Free Trial here! Fotolia started as a European stock photography agency and has developed into an internationally owned and managed company that is ranked as one of the top 3 stock photography agencies. It refers to itself as a social marketplace for images and design files, and aligns their online strategies with those used in the music industry. 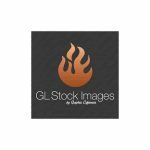 Their large selection of images comes from their company’s mission to accept professional and amateur photos, something not done by other stock photography agencies. Fotolia provides some of the cheapest extended licenses in the stock photography market. We hope you find our Fotolia Review helpful and we love to hear your thoughts in the comments below. Sign up at Fotolia today and get 3 free credits to use when selecting from over 23 million images + 20% bonus credits. For New customers only. Sign up at Fotolia today and get 30% more free credits to use when selecting from over 23 million images. This offer is for new and existing customers and only available once per client. Searchable by: keywords, file type, orientation, license type and image collections. Members can determine how many images are displayed on the page. Membership is a prerequisite for searching files. Their FAQ is extensive and highlights the latest questions from members and contributors. Fotolia has their corporate headquarters in New York, USA with offices in Seattle, USA, Berlin Germany and Paris France. Fotolia has credit and subscription buying options for members that are reviewed below. 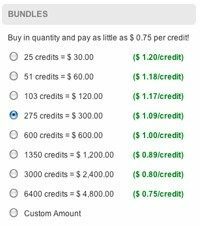 Credits start as low as 75¢ with a maximum price of $1.20 per credit. Credits can be purchased in predetermined packages or through a custom selection option. Custom selection has a minimum credit purchase of 10 credits and the credit packages start at 25 credits. Minimum of 10 credits to start, which costs $12.00 (equal to $1.20 per credit). The credit system can be used to purchase extended licenses (40 Credits). Credits can be transferred within companies if you sign up and pay for their subaccount transfer service. It is similar to a multi-seat license for credit purchasers. Each image has a different credit cost with a x-small image costing on average 1 credits. Image prices can vary depending on the photographer. Some professional photographers cost more per image than amateurs. Subscriptions only apply to Small, Medium, and Large JPG Images (X-Large, Vectors, and Footage files are not included). Subscriptions are based on a 24 hour period, not a calendar day. Exclusive images, as well as images from the Infinite Collection are not available for download with a subscription plan. The success of a search will depend on the users’ ability to use good keywords. Put your best keywords first and adjectives second. Multiple key words can be used in the searching platform. Searching tools are limited, with the advanced searchonly having keywords and categories. Image display options are extensive with too many categories to mention. The most beneficial relevance filter is that you can exclude the Infinite collection, which is a more expensive collection of images. Infinite Collection The Infinite Collection on Fotoliais a collection of professional photographers’ work where they can determine the price of their images. This pricing strategy is unique to Fotolia and sets them apart from other microstock agencies. Knowing that Fotolia accepts images created by amateurs, this collection enables members to search a more elite class work and pay more for the images. If you are looking for a unique image with high quality, the Infinite Collection may be just what you are looking for. The price of extended licenses and how you can purchase them is one of the greatest benefits on Fotolia. In order to purchase an extended license for any of the images on Fotolia, credits are required. 40 credits purchase an extended licenses. This is a great benefit for credit buyers but not a great deal for subscription purchasers. Fotolia only deals in standard royalty free images or extended licensed images. There are no other licensing options for purchase. Fotolia has a section dedicated to special offers for members and contributors. The offers range from discounts on images with promotion codes to discounts on imaging and design software. They work with partners to offer their membership base great deals. It is worth a review to see if their promotional items could benefit you. Microsoft Plug-in-download-The Fotolia plug-helps you to seamlessly add images and videos to your powerpoint or Microsoft Word files. Additional free files are available if you download this tool. Fotolia Desktop Widget-Download the widget and integrate Fotolia into your daily computer activities. The drag and drop feature is a great addition in this desktop tool. 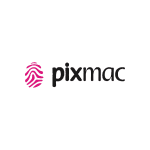 Flix Time– This is where Fotolia shows their true music affiliation. FlixTime, free software that you can download to your computer, turns photos and videos into stunning and unique video. Sign-up for a free account, and upload your images, videos and music from Fotolia. WordPress Plugin- Microstock Photo Plugin for WordPress. Based on Fotolia’s most powerful API, bloggers can now instantly search from 8-million royalty-free images on Fotolia and add them to their posts without leaving WordPress. What’s even better is that the application suggests photos based on blog tags. All bloggers have to do is select the image they want and it’s automatically inserted into the post. Fotolia has streamlined their services into a social marketplace. They support not only image and file buying but the use of the purchased files by their members. They extend their services beyond a stock photo agency and supply the tools for successful use of their images. Their search capabilities, limited licensing options and slighter higher image costs are due to the focus they place on the social-ability of their membership, image and website interaction. If you are looking for a ‘support after purchase’ website that assists in the development and use of your designs, Fotolia is a great place to start a membership. You will pay slightly more for your images, but you will reap the rewards of their additional tools. They live up to their self proclaimed name as a social marketplace.